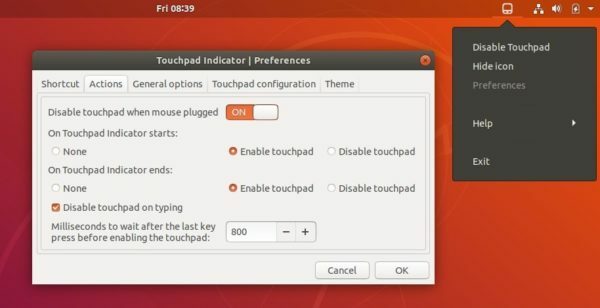 Touchpad Indicator is system tray applet to configure laptop touchpad settings and actions in Ubuntu desktop. Disable / Enable touchpad with indicator menu or keyboard shortcut. Disable touchpad when mouse is plugged. Also do basic settings for natural scrolling, tapping, touchpad speed, etc. The software is available in the developer’s PPA for all current Ubuntu releases. 1. Run command to add the PPA. Type in your password (no visual feedback while typing due to security reason) when it prompts and hit Enter. Once installed, launch it and you’ll see the applet icon in top-right system tray. To remove PPA repositories, launch Software & Updates and navigate to Other Software tab. The touchpad indicator 1.0.0 is out! Now it has the ability to disable the touchpad while typing. Here’s how to install it in Ubuntu 13.10, Ubuntu 13.04, Ubuntu 12.10, Linux Mint. 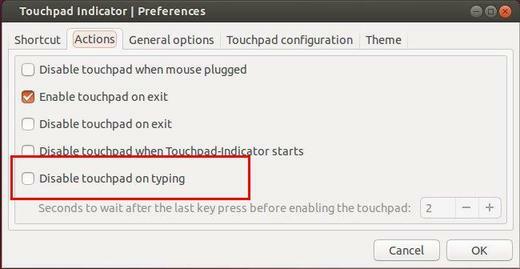 The first of changes is the ability to disable touchpad while typing. The new release added an option under Preferences -> Actions tab to switch this feature on / off. It also allows you to configure the time to wait after the last key press before enabling the touchpad. Vertical scrolling. You can perform vertical scrolling by sliding your finger along the right side of the touchpad. Horizontal scrolling. You can scroll horizontally by sliding your finger across the bottom of the touchpad. 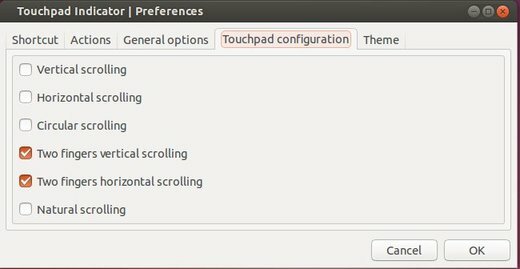 You can enable them under Preferences -> Touchpad configuration. Once installed, open touchpad indicator from menu r Unity Dash. Then change the time delay to 2 seconds.